your ceremony should be the same! 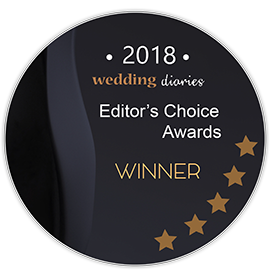 As an authorised Civil Marriage Celebrant, I am passionate about my role and responsibility – it is my honour and privilege to perform the ceremony for your marriage, commitment, baby naming, or other memorable celebration! I welcome the opportunity to meet new people and enjoy hearing each and every love story… the journey that has led you to the decision to have a civil ceremony. As your celebrant, I will do everything within my power to ensure that your special day is everything you want it to be. I will listen to your requirements and ideas and ensure that your ceremony is exactly imagined. The most rewarding part of being a celebrant is when my couples or their family and guests approach me at the end of their ceremony and tell me it was perfect! Or that it was exactly as they’d hoped for and more! I am a member of the Australian Marriage Celebrants Inc. I participate each year in ongoing professional training and development as required by the Attorney General’s Department.